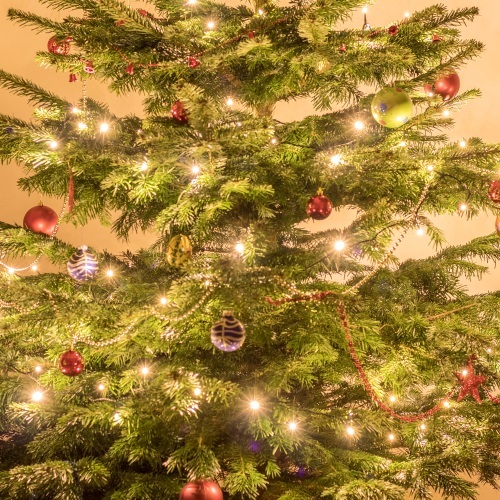 How can I take a picture of a Christmas tree without lens flare around the Christmas lights? Is it possible to avoid this effect and make the lights appear as small dots? Perhaps a more sophisticated HDR tool can acheive it or do I need a flash setup for proper lighting? What is this "rainbow" effect?